Today, I want to talk about that feeling we get when we’re totally, utterly OVERWHELMED. In those moments, life feels relentless, totally intense, and if the weather is murky outside, you just want to hide inside your duvet rather than face what’s ahead. And some days, you certainly do. But dear friend, I want you to hear me… you don’t always need to have it all together. You don’t need to carry the load. The worry, the anxiety, that overwhelming feeling in the pit of your stomach… that’s not yours to carry. So, do you want to know my one simple way that I overcome the overwhelm? Special guest on The Simplifiers Podcast? Think about your home life, what’s in your fridge, what about your partner, kids, friends, family or anyone close to you? What’s lurking in the deep recesses of your brain that’s been bugging you as a ‘to-do’ that never gets done? For me, the second I can get all of my spiraling thoughts out of my head and onto paper, I feel a big sigh of relief that naturally comes out of my body. None of the tasks have (technically) gotten done yet, but this is the first step in overcoming the overwhelm. You now understand what’s swirling around, and the next step is to figure out what’s YOURS to carry – and what isn’t. So, now you’ve got the list, all you simply do is put a Y for ‘Yours’ next to the tasks that are undeniably YOURS to carry… and an N for “Not Yours” next to the stuff you could delegate or say no to. Is there someone who could do it better, faster, cheaper than me? Would it feel oh so GOOD to let it go? That’ll give you instant clarity, right there. And clarity, friends, is how you overcome the overwhelm. Simplify your workload, get clear on what’s yours to carry and then, take action. This practice will only take you 7 simple minutes. Sometimes people really do have a bazillion balls in the air. It’s not a cool factor. It’s not a lack of delegating. It’s just how it is sometimes. Sharon, I love you. Thank you for reminding us all of this truth. I’m cheering you on. You and I both know that owning a business can be downright exhausting when you take a peek behind the curtain. Remember there are people out there who can help. You don’t have to carry it all. Less hustle and grind. More ease and simplicity. And girl, if we lived in the same city still, I’d be sending you some Tiff’s Treats right about now. You’re doing great… keep going! 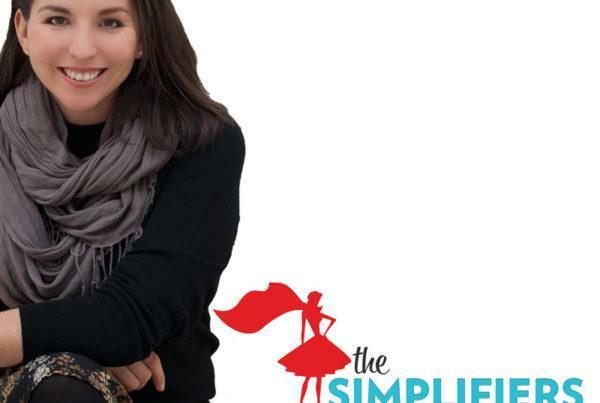 If you want to nominate yourself, or someone you know to be a special guest on The Simplifiers podcast, make sure to visit our website: thesimplifierspodcast.com. Fill out the form and BOOM, your name is in the running! Phew, that was so simple! Our team reviews each and every one of the nominations we receive on this form, so thank you for taking the time to send it in.